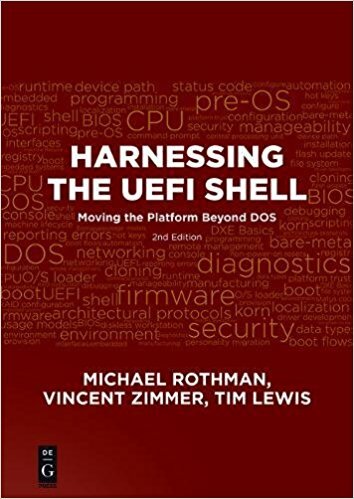 This nifty article by my friend and co-author Vincent Zimmer takes a look at the UEFI specification from his perspective as one of its early proponents within Intel, as an author (Beyond BIOS), and more recently as a steward of the specification and innovator post-UEFI. From my perspective as a BIOS architect, the process was never a smooth one. The rise of the industry specification bodies is something we take for granted. If you look at older PC specifications, like ACPI and APM and BBS, they were cooperatively developed by a small cadre of companies, like Microsoft, Toshiba, Phoenix and Compaq. 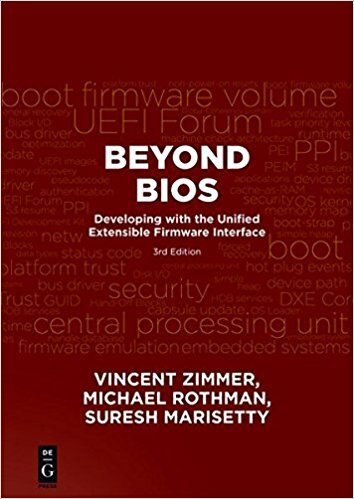 As EFI was coming along from Intel, the BIOS vendors were also developing standards and promoting these standards. Never heard of PowerBIOS from Award? Or how about Manticore or CSI from Phoenix? With the industry standards group approach, any one of these could have become what UEFI is now. Maybe. If the originating company was willing to loosen their grip. It was, in accepting this key point, what allowed Intel and their partners like HP to gain critical agreement within the PC ecosystem. Sometimes relinquishing control gets you what you want, but the process is more chaotic. Certainly true for UEFI.